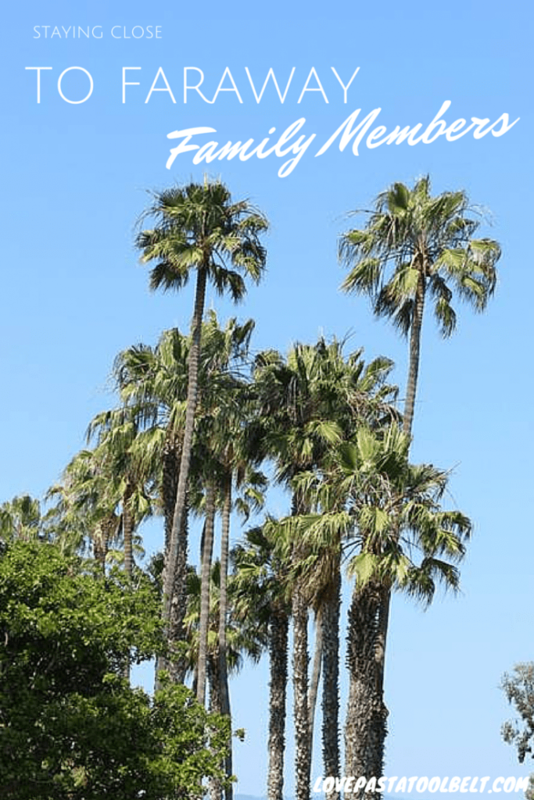 My contributor Rebecca is sharing some tips for Staying Close to Faraway Family Members! I grew up in California, so most of my immediate family still lives out on the West Coast. That’s a long trip from Tennessee for just a weekend visit. This weekend is my mom’s birthday and Mother’s Day and I find myself wishing that I lived closer to be able to spend time with my family to celebrate with them. Thankfully, over the past few years I found ways of staying close to faraway family members. Video chatting is such a wonderful invention. I don’t know what we did without it. When my husband and I first moved in to our apartment, I was able to give my parents the grand tour long before their were able to visit. This year my mom and and I even Facetimed while I opened my birthday presents from her. It’s nice to feel like you’re in the same room every once and a while. I always really look forward to when my parents send me packages or letters. I’ve tried to get in the habit of also sending them mail so that they can have little surprises from me throughout the year. I also resist the urge to send online gifts for birthday and holidays out of convince and opt to send them something a little more meaningful in the mail. I don’t always have time for long phone calls once I’m home so I’ve gotten into the habit of calling my mom and dad either on my way to or from work. My husband got me a Bluetooth for my car for safety and now I can use that uninterrupted time to catch up with my family. My dad is taking my husband and I on a trip this summer so that we call can get to spend time with one another. It’s so nice to have something to all look forward to as well as a plan to meet somewhere where neither one of us has to clean house. How do you stay close to faraway family? Mostly we just do phone calls and texting. I talk to my mom about twice a week, and my grandma a few times a month. My mom is on Facebook too, so we stay in touch that way. Now that my craft room is organized, I’m going to start sending them homemade cards. I love the idea of sending homemade cards too!